Okay, so we’ve got chicken burger with coleslaw, what wine do we choose? White, you would say, because it’s got chicken and coleslaw. Surprise, surprise, the first white wine recommendation from Delipair’s algorithm actually appeared in 10th place, behind nine reds! That’s the nature of looking at the whole molecular picture, or aromatic fingerprint of the recipe. The strongest aroma bridges may exist right where you didn’t expect them. 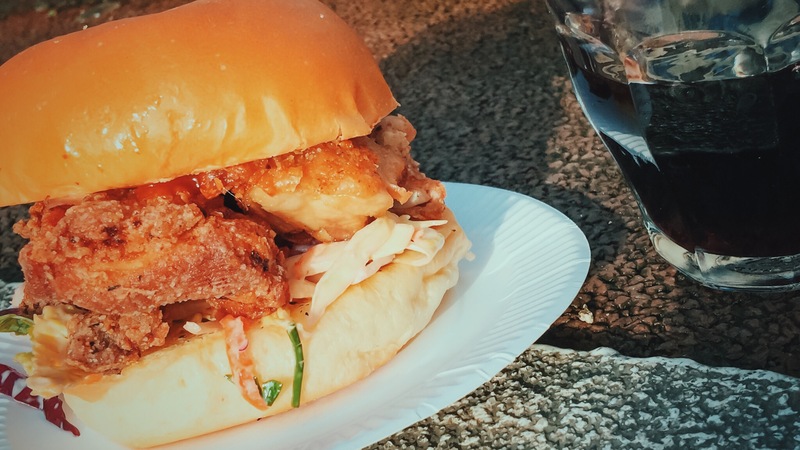 So the choice was clear, I should try this Fried chicken burger from Spit and Roast with red wine. From the top three I chose Valpolicella Ripasso, partly because I love Italian wines. Valpolicella Ripasso is an interesting wine, which gets re-fermented over sun-dried skins from the grapes used to make Amarone wine – unlike straight Valpolicella. It gives the wine some balsamic notes and keeps its crisp acidity at bay. From a molecular perspective, it makes it a very versatile wine to pair with food. So how did it play with the burger? The burger was delicious - crisp chicken in nice chunks, far from industrial sameness, and the coleslaw and hot sauce giving it extra zing. The wine, with its dual Ripasso fermentation process is full of dense, sweet aromas, vibrancy and fruitiness of straight Valpolicella. Both the burger and the wine were fighting for being the most visible part of my meal, but their strong aroma bond made this fight enjoyable one, not at all off-putting. Highly recommended! I've got Mac and wine babe!